My houseplants through the years have been like my babies. Being nurtured, fed and watered, watching them grow and blossom into adulthood. Sound familiar? They go through changes, and need a trim to keep them strong just as our children need haircuts to keep their hair healthy and strong. 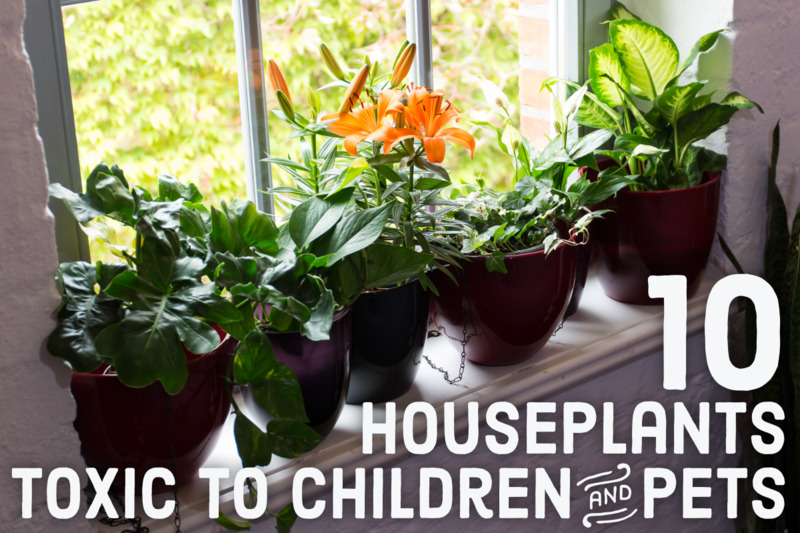 Kids like adults need a certain amount of sunlight to produce Vitamin D, houseplants need different levels of sunlight to in order to thrive and grow. Bringing in a selection of houseplants to your home or workplace not only creates a beautiful environment but can have a beneficial effect on purifying the air of toxins you may not even be aware of. Toxins can be omitted from synthetic plastics, paints, varnishes, house cleaners and even computers. Choosing the right plants may just help in preventing allergies, cancer, asthma, auto-immune disorders and other diseases as they convert carbon dioxide to oxygen. 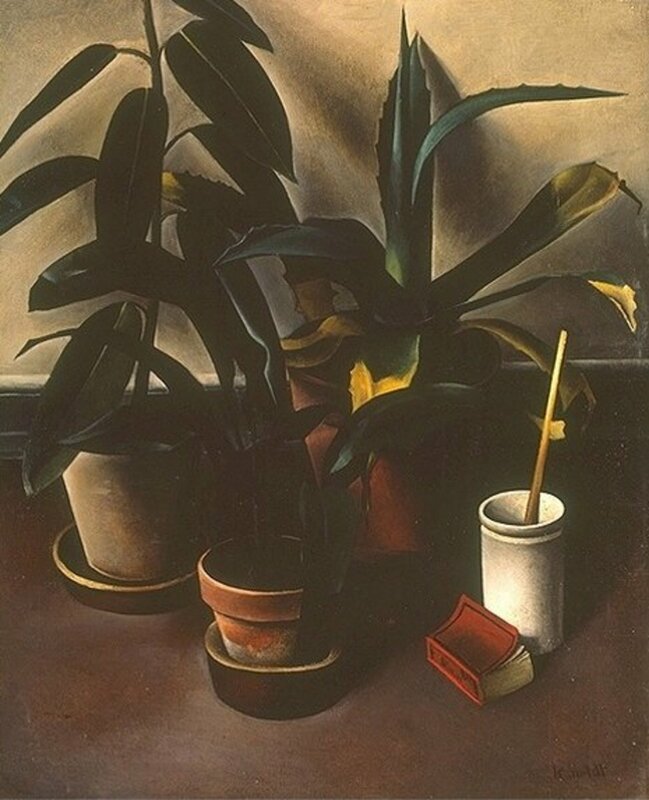 Many indoor plants have the ability to clean the air to some degree. 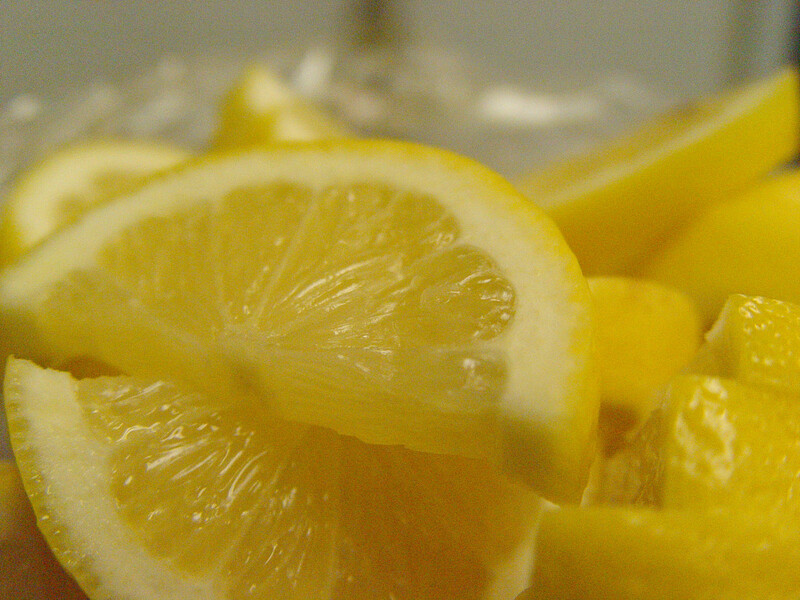 Some have been shown to be more beneficial than others at removing higher levels of toxins. Formaldehyde - found in shopping bags, facial tissues, kitchen towels, cooking and heating fuels including natural gas and kerosene, household cleaners, office furniture, carpet backings and cigarette smoke. Benzene -found in inks, oils, plastics, rubber, gasoline, dyes, detergents, pharmaceuticals and explosives. Trichloroethylene - found in dry cleaning, metal degreasers, printing inks, adhesives, varnishes, paints and lacquers. These toxins are carcinogenic (directly related to causing cancer) and used in the manufacturing of synthetic substances and materials. Other toxins include Toluene, Ammonia and Xylene. Here is my selection of plants, many I have had which are some of the best ones to have in the home. Believe it or not NASA scientists have shown incredible research into this field as they looked into ways of creating suitable space station environments and habitats which were enclosed confined rooms, just as our homes are. 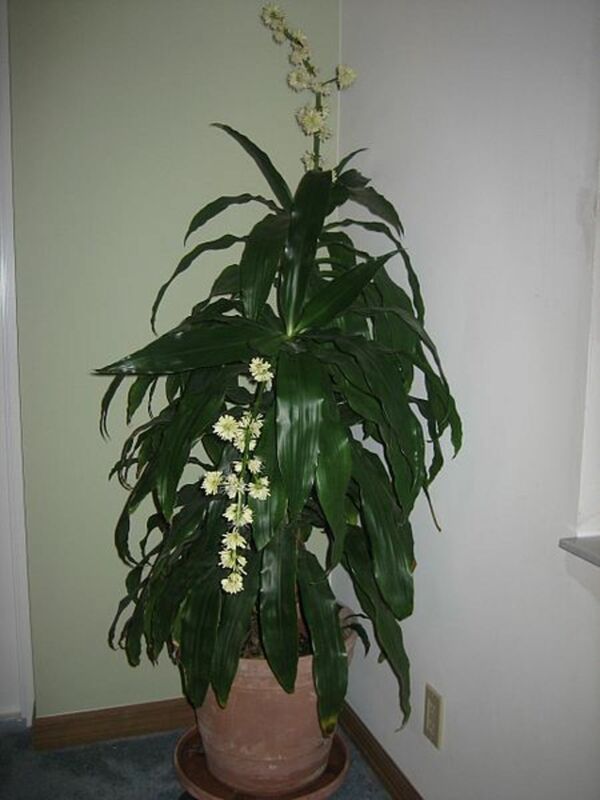 Uses – This plant has many uses in the home and helps rid the air of toxic formaldehyde. Some of the other uses include making your own mouthwash, eye gel, healing sunburn, insect bites and moisturizer. 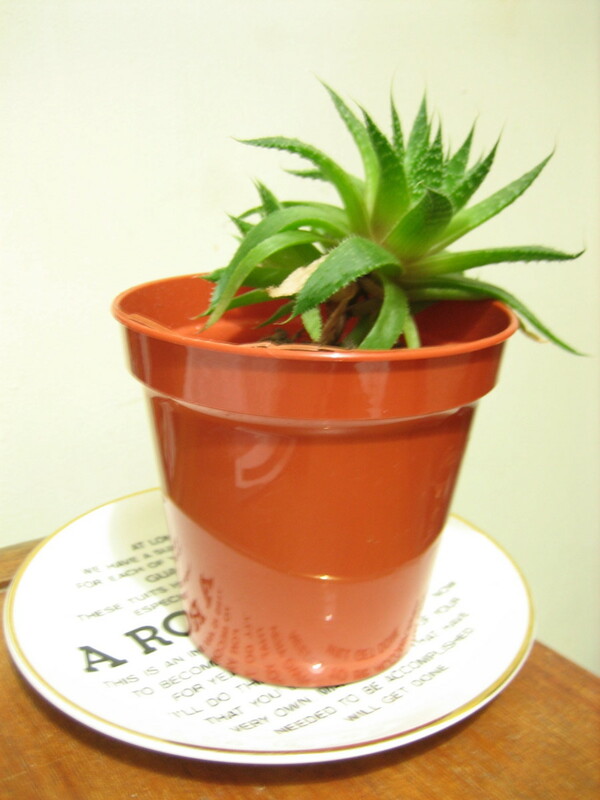 Tips – Aloe need well drained soil with good drying time between watering. Place in full sun preferably but protect from high temperatures. Uses – Peace Liles should be in all homes as it is not only pretty but it is the no.1 houseplant for filtering out chemicals. It is excellent for cleaning the air of benzene, formaldehyde, trichloroethylene, toluene, xylene and even ammonia. Cleaners, solvents, plastics, acetone the list is long of the toxins this plant will remove from the air. Tips – They can be quite temperamental I have found and if you move them they will not generally like it. Avoid placing them in drafts and make sure they get sufficient low indirect light and not bright sun. Uses – Superb plant for removing the chemical benzene which is commonly omitted from cigarette smoke, pesticides, detergents and off-gassing from other synthetic materials. It removes formaldehyde and is said to extremely beneficial for asthma or allergy sufferers. Tips – I have often had this in different rooms around the home in different amounts of light successfully. As it can often run wild outdoors it makes a great choice for indoor container gardening. Uses - Another great one to have for air purification it removes benzene, formaldehyde, trichloroethylene, toluene and xylene. Tips - It requires very little attention and can survive in low lighting and with irregular feeding. Even if you forget about this easy to grow plant, all is not lost as it is one that can come back to life quickly. 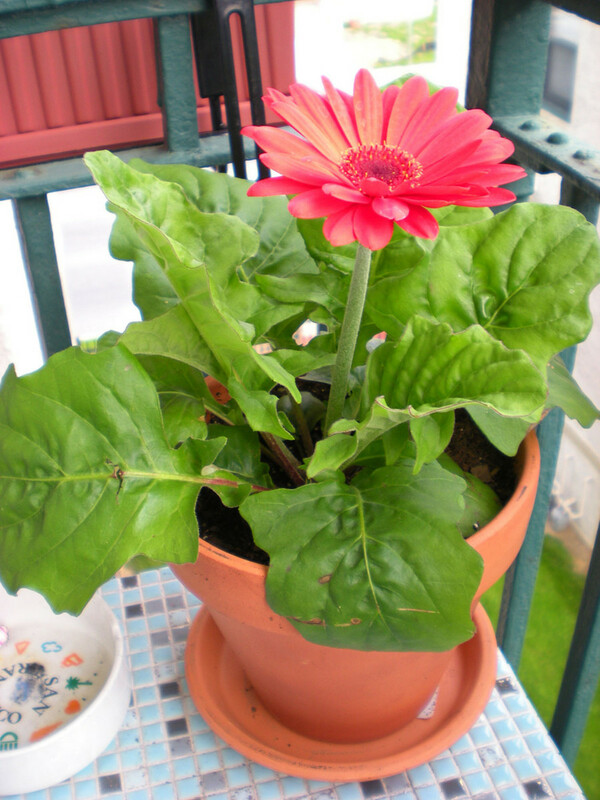 I love gerbera daisies with their bright array of colors and love the burst of color they give alongside some green plants. NASA say it is fantastic for removing benzene from your home and it also removes trichloroethylene which unknown to you may be in your dry cleaning. Tips – It loves light and yet many people have sworn by it growing better in their bedroom in winter as opposed to outdoors in the summer! Another easy to grow plant that favors bright but indirect sunlight and needs little attention making it easily maintained. These plants are effective at filtering out formaldehyde, benzene, trichloroethylene, toluene and xylene toxins leaving the air purified. Tips – It is best watered with day old room temperature water as it can react to fluoride in tap water.As they are tropical in origin they like high humidity and placing them in bathrooms or laundry rooms may be a good idea. Not a favourite of mine however a very good all round plant to have as a houseplant. 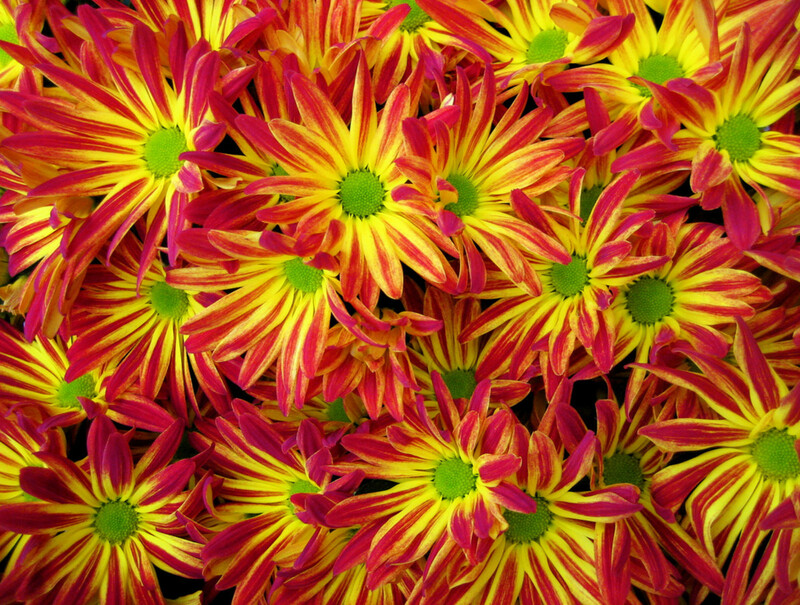 There are approximately 40 species of mums with a large number of hybrids and cultivars. Uses - Mums help clean the air of benzene, trichloroethylene, formaldehyde and ammonia; they generally only flower once in the year and are treated as annuals. Tips – Pot mums do best in cool airy rooms and may be placed in any location. Keeping them at 10-15 C usually prolongs their flowering period but they can withstand warmer temperatures. An attractive easy to grow houseplant, that is perfect for a low maintenance, fuss free option. Although it is tropical by nature it adapts very well to average home conditions. 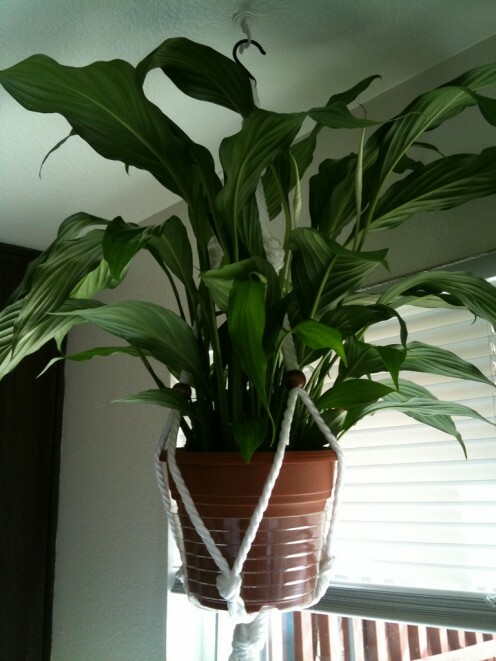 Uses – This houseplant will filter out benzene, formaldehyde, toluene and xylene leaving the air free of these toxins. Tips – Water when it needs it and allow the top of the soil dry out in-between watering. 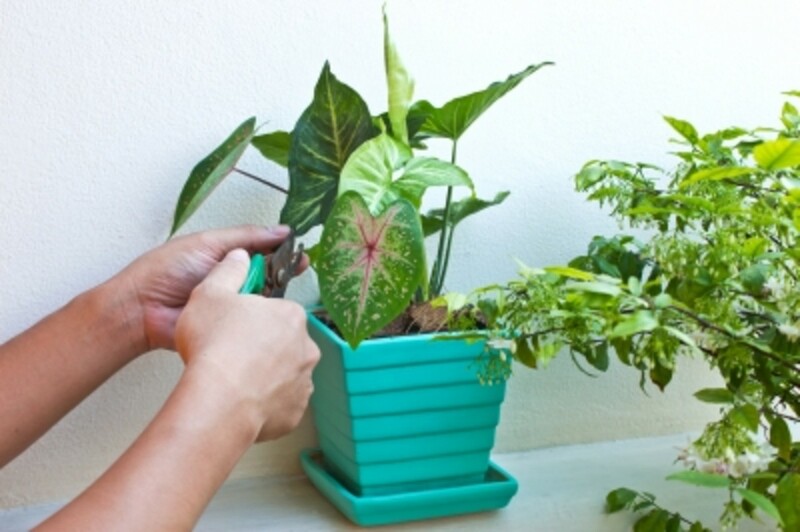 It does not like soggy soil so make sure as with all houseplants you have drainage hole in your container or pot. If you see brown scorch marks on the leaf it is being burnt and needs to be moved to a less direct location. Pale leaves indicate too little sunlight so move it to a brighter spot. 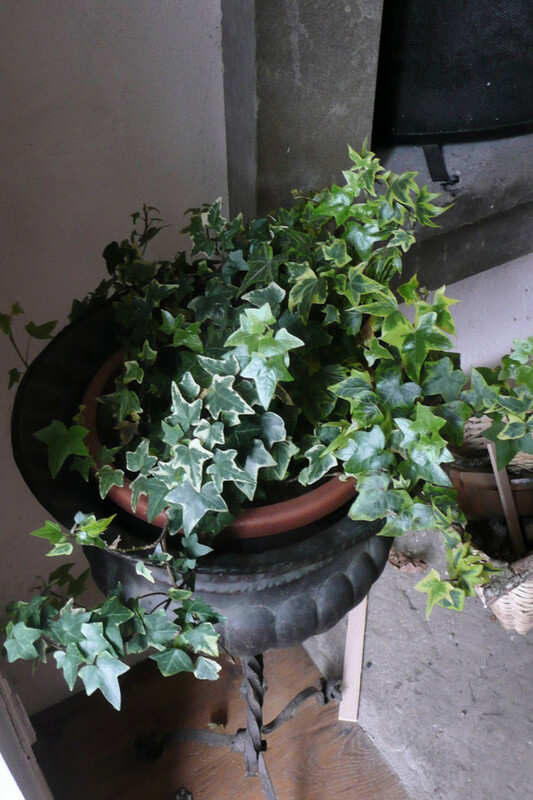 Devil’s Ivy is an attractive plant with marble effect leaves and an easily maintained plant. Uses – Devil’s Ivy removes benzene, trichloroethylene, formaldehyde, xylene and toluene from the air so an excellent addition for home or office. Tips – Place these in a position of medium light, not direct sunlight for best results. Water only when the soil is dry and this hardy plant will last years. This plant is a popular one used by those in the interior plantscaping business. It is easily maintained and grows in both dry air and low light conditions such as offices and commercial building. Uses – Effectively removes benzene and trichloroethylene from the air. 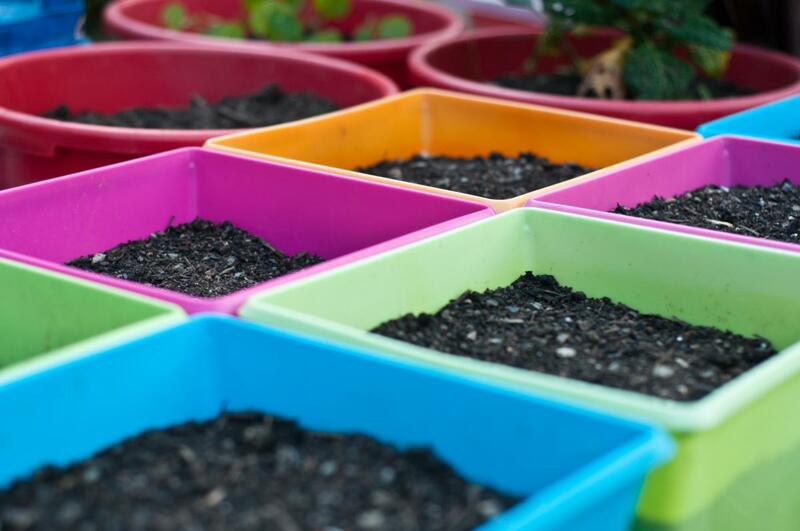 Tips – Do not allow the soil become soggy but keep lightly moist. Watch for the same “signals” as Janet Craig” for too much or too little light in the leaves. Not all air purifying houseplants are safe for pets or children who often ingest them so please take this into consideration if you are introducing houseplants. Many are poisonous so check out this link to a list of plants and dangers for pets. 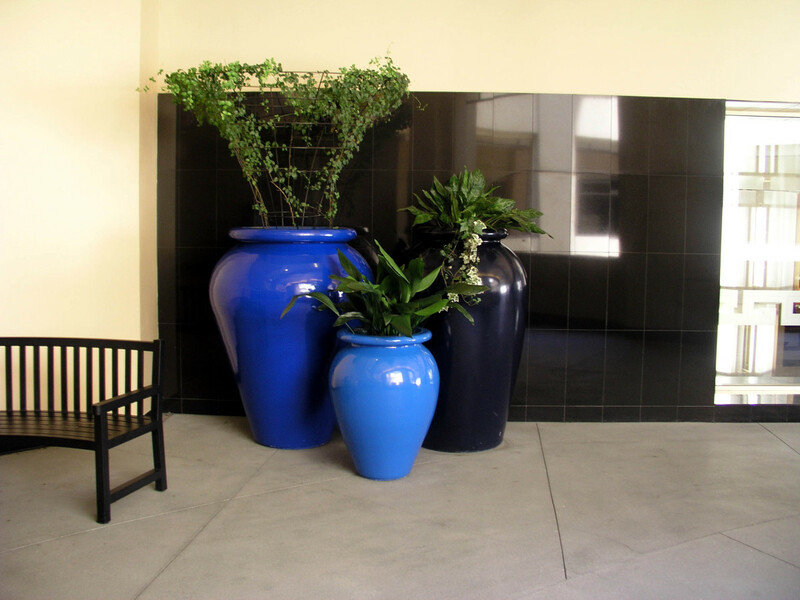 As a guide choose 1 potted plant of 10-13 inch size pot per 100 square feet for your home or office space. 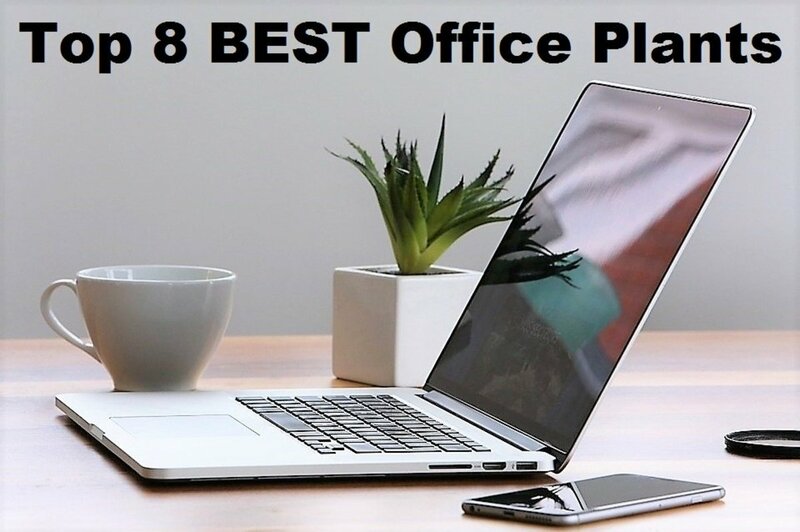 Make a list of the best ones and decide your own preferences before going to purchase them. Check their growth rate and potential size as it may affect your choice. Bear in mind the time of year, and the light you have in your rooms for the best placement and to make sure your plants will thrive. Keep the leaves free of dust particles which can block the plants ability to absorb toxins. Wipe with a damp cloth now and again. Keep a note or calendar of the watering, re-potting and feeding schedule for plants and keep it somewhere obvious such as the fridge door with a magnet or pinned to a cork board. It is easy to forget, from personal experience. Use organic fertilizer and avoid synthetic or non organic varieties for best results. Check which plants do well by dividing and start some new ones to keep or give as gifts. Essential oils are potent volatile oils that have a huge benefit in cleaning the air. They may be diffused in a variety of ways. Their benefits cross into therapeutic, health, skin care and home. House cleaners – substitute all your chemical based cleaners for the home and may your own easily utilizing suitable oils such as lemon, lime, pine, lavender, bergamot, cedarwood and peppermint. Diffusing – Making these aromatic oils airborne can be done in many ways.Apart from being good for warding off bacteria in the air and killing off toxins, they have therapeutic benefits. Oil burners, terracotta pendants, electric diffusers or even inhaling from the bottle are some of the useful diffusing methods. 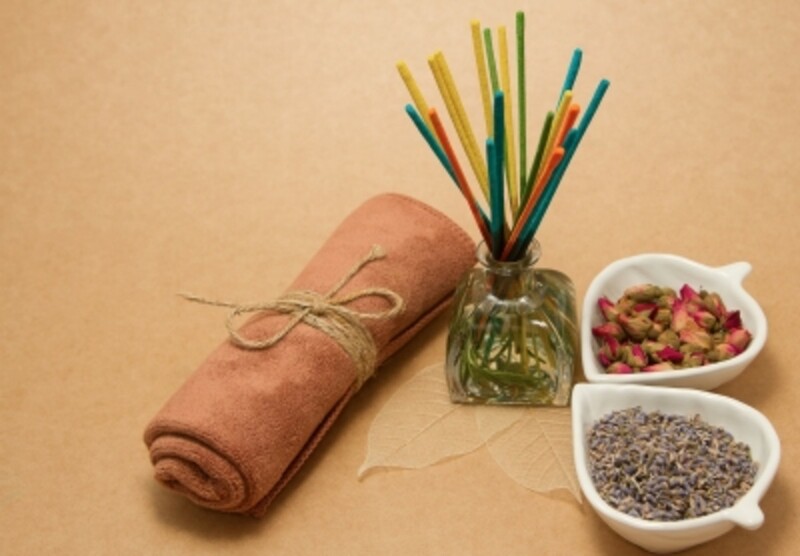 Incense sticks and potpourri are popular as are fragrance candles. Air Fresheners – homemade air fresheners are perfect for these oils to quickly sanitize your home from airborne bacteria and chemicals. Always take into consideration those in the home and any allergies or medical conditions when using essential oils. Add a few drops to some boiling water or to a saucepan of herbs and spices for an effective and cost effective room freshener. 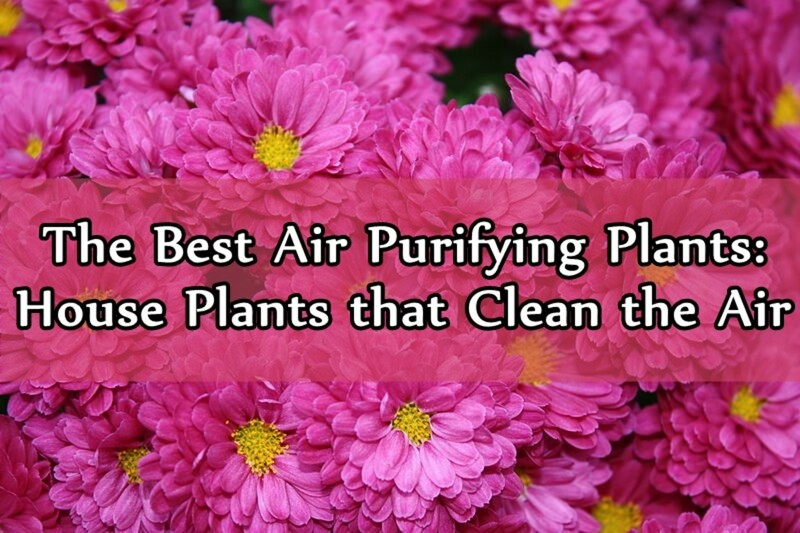 Are you aware of air purifying plants? Yes and have some already! Yes but don't really consider it when buying houseplants. No but do now! Definitely will consider some of these in the future. No, not really the green fingers type. I was not aware of it but do have some of these! Plants can bring a space to life with their range of textures, colorings, shapes and size. 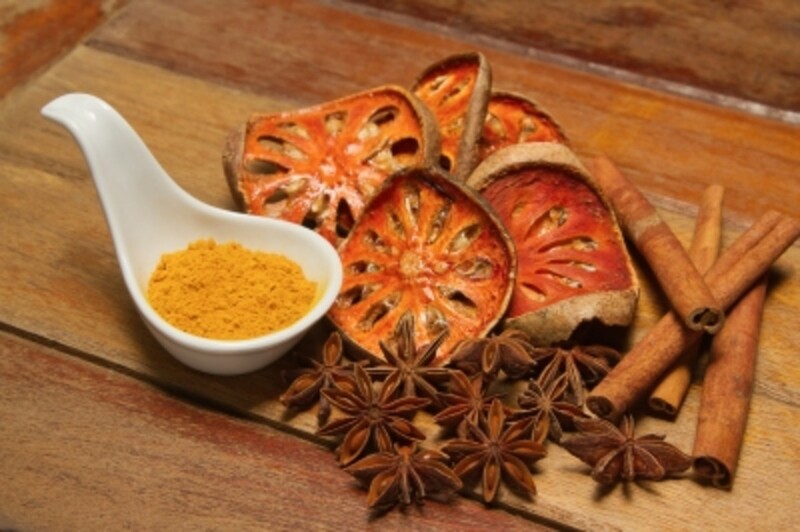 Some plants even have benefits for the skin, health and for general remedies in the home. Having the additional benefit of purifying the air of toxins is one we should all readily avail of. I have always loved having plants dotted around the home, many have lasted years and I could not imagine not having plants. They are a cost effective and often easy way of being environmentally aware and making our space safer. Sounds good to me! A lot of these plants are toxic to pets so be careful using them. Thanks Vespa, it was fascinating learning all the varieties that purify the air and how beneficial they are. Hope you had a great birthday and celebrated in style!! I knew that the peace lily can be used to purify the air in a home, but the gerber daisy and aloe vera plants were a surprise! I had no idea and gerber daisies are so beautiful, too. I appreciate your mention the each plant requires a different light level, so choose wisely. Many of these are harmful to pets. I used to grow aloe, peace lily, golden pothos, and mother in laws tongue indoors until my vet told me they were all harmful to cats. I only grow stuff cats and dogs can eat now. 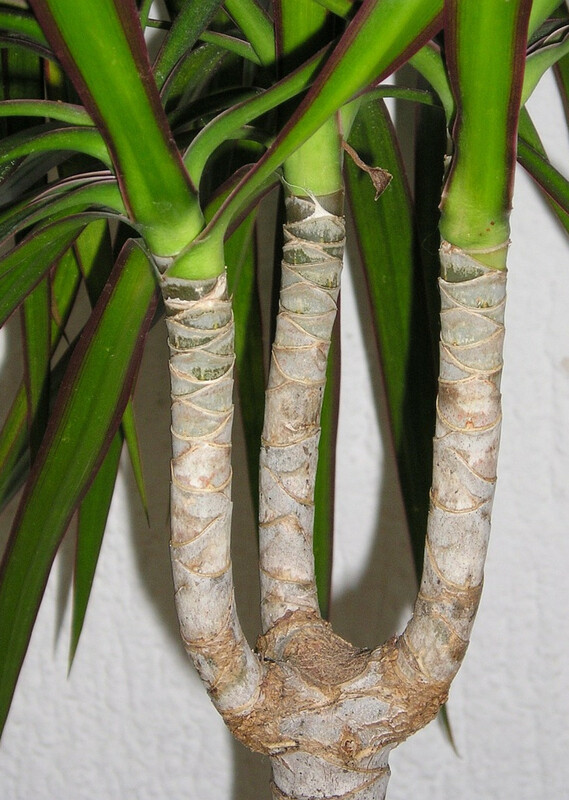 Dracaena, spider plants and moth orchids are fine. What a great hub of the best houseplants to purify air. I'm thinking of buying a plant or two this spring to spruce it up. Very useful and informative on which plants might be the right ones to use. Voted up! Unfortunately chemicals are everywhere so it is great to reduce as much as possible in our homes, houseplants are one way for sure. 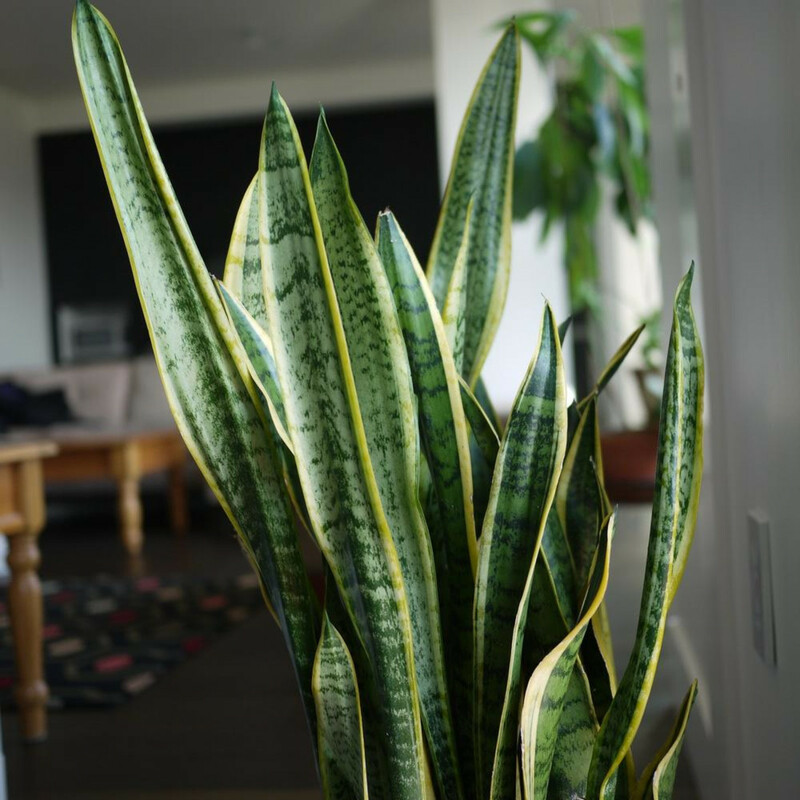 Nice choice with your snake plant! 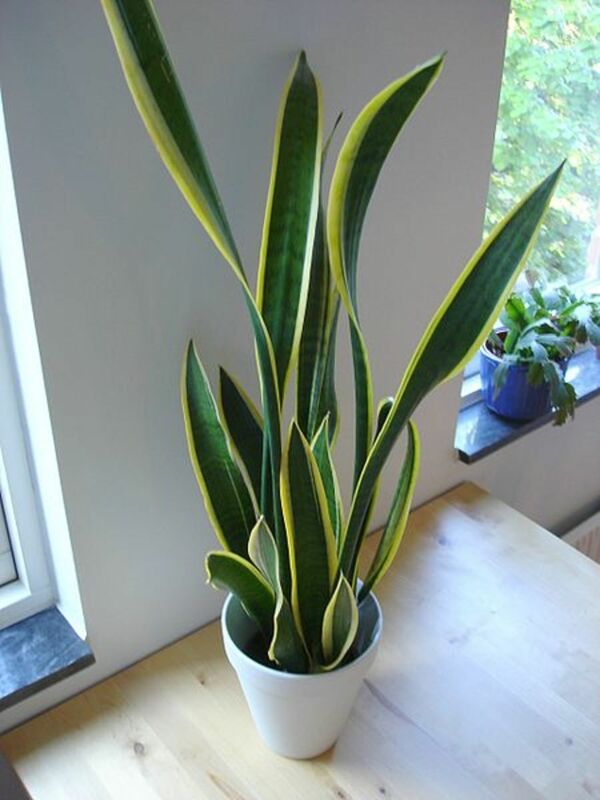 Will use the snake plant for deodorizing the living room. I like the idea that it will help remove chemicals as I am sure the new paint and carpet are part of our allergy problems. Hi Mountain Blossom thanks so much for stopping by. It is so interesting finding plants that aid the air, look good and have hidden benefits. Appreciate your support! Really enjoyed your hub, extremely useful and I'm going to pass this on to my kids. Thanks so much. Will be reading more of your hubs soon. They all look so interesting. Many thanks for your interest in air purifying plants. Hope you found it interesting and good to hear it has inspired you to try again with some new ones! Good luck and appreciate your comment and interest! Very excellent Hub. Wrote 3 from your list that I plan to add. Thanks. Very interesting article. I have an aloe vera plant. I should move it into the living area to benefit a bit more from its properties. As for the other plants, I think I may need to buy some more house plants. Hopefully I can keep them alive. Many thanks for your lovely comment and so good to hear these suggestions have inspired you to give houseplants a go again. Appreciate you kind comment! Cheers for the thumbs up and sharing! This is such a valuable information shared by you! Most of us grow plants at home, but do not realize their specific benefits, whether they are helpful in purifying air or not. Thankfully I have at least three to four of them, which you have mentioned above and I am thrilled to read your information. Will add more as suggested by you. Thanks for this great information. Voted up and pinned! Lovely to see you and delighted you enjoyed so much. Have fun and thanks for spreading the word, much appreciated! So good this was valuable for you and will help you make some selections of houseplants. We all live in different climates and what is interesting is some may not be available and others will be. Some will thrive in certain "zones" other's not so. Have fun and enjoy! Appreciate you visiting and for comment! Ahh, this is fantastic Suzie! Love you and all your creative homemade stuff! Thank you for the most enjoyable education. Passing it around. This was such great info! I had heard about plants being able to purify but having specific plant names and specific ways they help is invaluable. I want to go out and buy some right now! Thank you so much! I sure do know you and Patchoulli are lifelong buddies! LOL It is such a gorgeous one, I can't blame you! I kill every plant that enters my home or patio, so I have given up, but this reminded me that aloe vera plant might be hardy enough to survive my lack of care, and they are good for treating burns to boot. I love Jasmine, too Suzie. But my all time favorite scent is patchouli. But then you knew that, right?! I have had failures too in houseplants, believe me! I love them though and keep trying new ones and reading up on their care. I prefer low maintenance in houseplants as it can be easy to forget or when you go away you are relying on a friend or family member to water them! Hope your mum finds useful and thanks so much for commenting! I don't know why but I'm not good at having houseplants. So that's why I have give in having houseplants. I just let them grow outside. But my mom is very good at having houseplants. I will tell her about your hub which contains lots of good information. I will relate to the other suggestions for purifying air like essential oils, diffusing and air freshener. Thanks for sharing. I had never considered this aspect of having houseplants before, but I'm intrigued now! As always, I learned so much from this article. Thanks for the great resource. Delighted you found this appealing. Pets do raise concern where plants are concerned. I know since Coco arrived out of the blue on this doorstep to Mick over a year ago now, I am back to being careful with everything now in case it disagrees with her. From looking at lists of harmful plants to pets, there are quite a number. Some are harmful to dogs and not cats and vica versa. Coco is not one to jump or chew anything at home so I am pretty lucky but would still make sure my plants are high enough or out of her reach just in case! I love incense too and usually burn some in the evenings, Mick loves it and our favorites are Jasmine, Sandalwood, Lavender and Vanilla . . . . . . Thanks Silva for the tip! Thanks so much for sharing your own experiences it is so good to hear your thoughts. I have bought plants from all different sources and had different results. I do tend to prefer buying from one or two fantastic garden centres who have years of experience and are family run. Their plants and accessories are always appealing and have great staff always on hand to help. I love the heirloom bulbs for planting too for something a little nostalgic and different. Essential oils are one product I love using all the time, be it in cleaners, for skin care, perfume, treating conditions and for diffusing. I love buying a new oil to add to the collection and blend different ones together sometimes. Many thanks again for your support and interest! Many thanks for swinging by, glad you enjoyed! Thank you for your lovely compliments. African Violets i saw mentioned in an article for being good at air purifying too! A few of these are hardy and easy to keep so hopefully they will be worth trying! if not why not take cuttings from your African Violet and grow some more!! Cheers for your visit ad comments! Glad you enjoyed this and always appreciate your visits! have a great weekend too!! Many thanks for your lovely comment. So good to see you enjoyed this one! I love peace lilies but have been stung by moving them, they did not like it and started to wither! Definitely need another one as they are lovely and so good for toxins! Yep, think you need one or if I drop by for a cuppa, I will bring YOU one as a gift! LOL Cheers for the great support and thumbs up in votes and shares. Suzie, you did a great job on this one. I wish I could keep plants in my home, but my cats play with them or munch on them. I do burn incense, tho! Jaye, the ZZ plant (Zamioculcas zamiifolia) is an easy to grow house plant and it's pretty. I have never had any luck with house plants, but I really appreciate this one. I have actually grown lots of babies from cuttings and given them away to friends. It was pricey to begin with, but well worth it. This is a very informative hub. I keep trying to keep houseplants alive, but the pothos (which will survive even me) is about the only one that lasts very long. 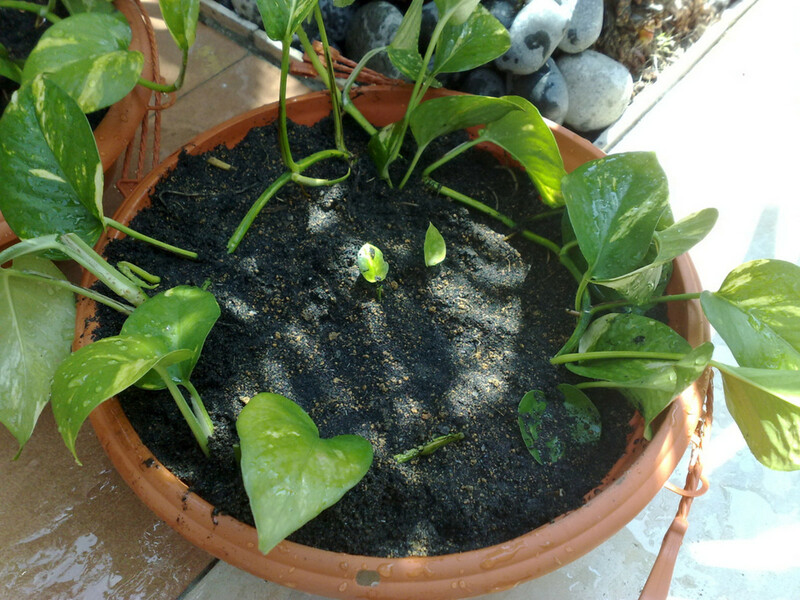 Not long ago I bought an English ivy that looked good for about a week, then suddenly was covered with tiny white mites of some sort. Eeeek! It was out to the garbage bin immediately! 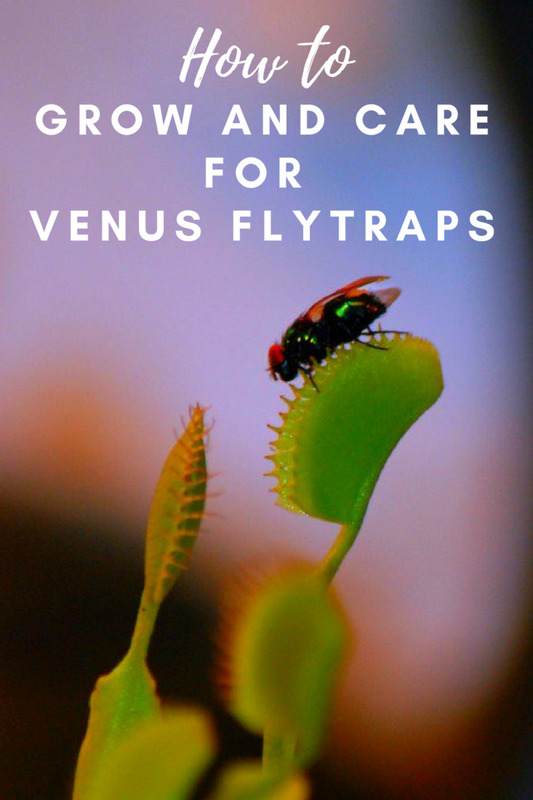 I think it's better to buy plants from nurseries that specialize in growing them than to get them at the supermarket where they may arrive already harboring pests. I like the info about essential oils. I'm trying to get rid of all home-use products with toxic chemicals and have been using vinegar, soda and peroxide a lot. The essential oils will leave a better lingering fragrance without adding anything harmful to the air. Thanks! Great hub with lots of good information. Beautifully written as always! I am a farm girl and cannot keep an indoor house plant alive to save my life. I have one plant alive today and it's an African Violet. The only thing I can think of is that when the plants are outdoors, they get rain, sunlight and fresh air naturally. Love the photos in this Hub! Very well done. Excellent information my Irish friend. Thank you and I hope you and the Mickster have a great weekend. Excellent Hub! I have Aloe Vera and Peace Lily in my home as well as a Bamboo and I just love them all! I really loved learning about the wonderful benefits of having not only these but many other gorgeous plants as well. I also freshen the air with essential oils and herbs and I've found that it works better than the readily made that you purchase! Now when I'm out shopping, I know which plants to buy to help filter the air in my home even more! Thank you for this valuable information, it will be put to great use! Voted and shared! There you go again Suzie Q, a great hub on a great subject with great advice. Did I say this was great? Such a simple everyday thing as houseplants but you tell us all the real dirt! Do you know how many Peace Lilies I have given as gifts? 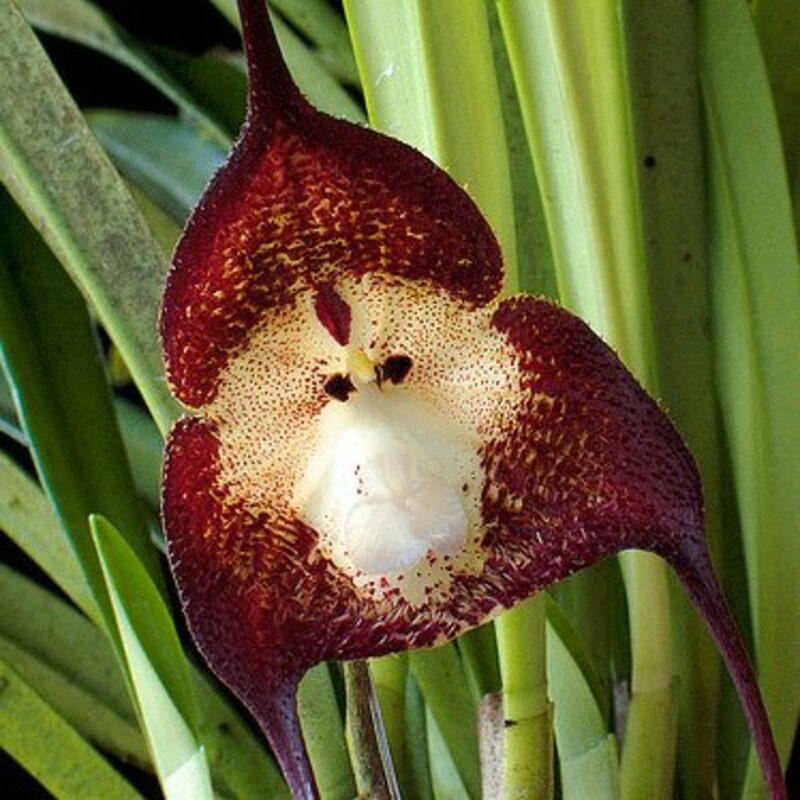 Probably not but suffice it to say I think its time to buy one of my own after reading what a great plant it is. My pleasure! You write such good articles and have the experience too! I grew some of these in my apartment as i hate not to have a few variations in plants. All of them did fine in the sitting room as it had the most light. i love the snake plant too so enjoy going on your buying trip!! Appreciate you voting, sharing pinning and for the links! Thanks a bunch for your lovely comment. I love plants and containers so looking at this topic was something that interested me as toxins are such a problem and danger. Glad you enjoyed this and you are a star for passing on the word by sharing!